Rhinoplasty (commonly known as nose job) is becoming a more and more popular surgery, for cosmetic as well as health reasons. We not only want our nose to have a sophisticated look, to boost our self-confidence, we also want to increase the nasal respiratory capacity, for better breathing while exercising and to have an undisturbed, good, deep and sound sleep. Although a nose job offers us various psychological and physical benefits, it is generally only covered by regular insurance policies when a doctor has determined that the operation is a medical necessity for someone’s physical well-functioning. In all other cases the nose job has to be paid for out-of-pocket. In today’s era, people are mobile. Travelling has become easy and we like travelling around the world, discovering and experiencing different cultures. That is why more and more people are going to another for surgery, such as a nose job. The main reason people are willing to travel for Rhinoplasty is the cost, since, as it is mentioned, most of the nose operations are not covered by a health insurance. The other reason is the possibility to spend the recovery period in another country. Some people like to take advantage of the recovery period of their nose job by discovering and experiencing foreign cities. Whatever the reason for having your operation abroad, there are some important points that an international patient needs to consider before having rhinoplasty. MCAN Health in Istanbul Turkey is specialized in plastic surgeries for international patients and has compiled a list of 10 focus points for international patients before having rhinoplasty surgery. If you are going abroad for nose job, do not forget that you need to stay there at least seven nights. You will stay one night in the hospital and 6 nights in the hotel or any other location provided by your Clinic. You will go back to your own country 7 days after your surgery. At home, you should give yourself 3 more days, before starting to work again. So in total 10 days off from work is well advised. By that time bruising and swelling will have diminished and your body will have had enough time to heal properly. You will have some discomfort from bruising and a stuffy feeling in the nose for the first few days. After the rhinoplasty, the area around your eyes will turn black after three to five days and the swelling will continue for up to a week. You will have a cast on your nose, mainly to reduce the post-operational swelling that will be removed at the check-up, which is 7 days after your surgery. 3) Do not let bruising and swelling prevent you from going around and shopping. Three days after your nose job, you can go shopping and explore the area. But do not make yourself too tired of course. Listen to your body. But don’t mind too much that you are walking around with bruises and swellings around your nose and eyes. After all, you are in a foreign country and nobody knows you. Your doctor will suggest you to apply ice compresses to your eyes. He may also give you Arnica cream to make your bruises heal faster and Bromelain to reduce the swellings. 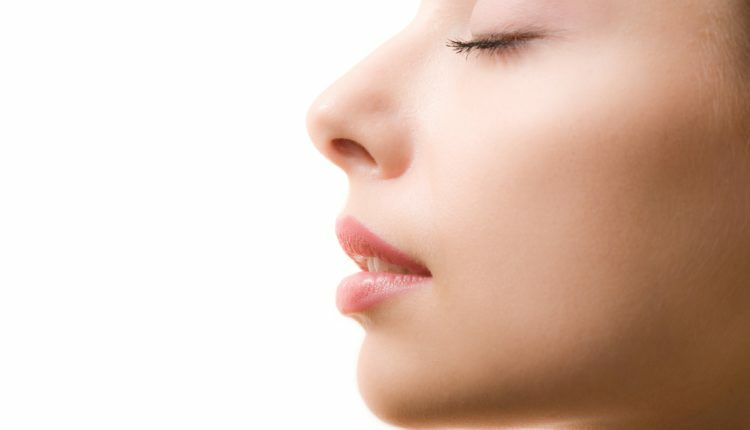 Please keep your head up after rhinoplasty to avoid putting pressure on your nose. Do not try to hide your eyes behind. Please consult your surgeon for the earliest day you can wear your glasses again. Generally, for the first 6 months, sun-glasses are not recommended to wear. Please keep your nose from any damage. Your nose is very vulnerable after the nose job. You should be very careful while walking outside and you should be away from crowds, to avoid being accidentally hit by an elbow or such. 7) Clean your nostrils and use sea water nasal spray. You need to keep the nasal airway clean to keep the airways open during the post-operational recovery. For that you need to clean your nostrils with tap water. Moreover, to stimulate wound healing your surgeon will prescribe you a nasal spray containing sea water, to restrain swelling and to rehydrate the inside of the nose. Your surgeon will remove the cast and internal splits at the first post-op visit, which will be 7 days after the surgery. Removing internal splits may create some discomfort. You can take a pain killer before you come to the check-up. But after the cast and internal splits have been removed, you will be relieved and will be able to breath easily again. Before you enter into the plane, the controllers at the gate will ask for your medical statement that you are fit to fly. If you do not show them this report, they have the right to refuse you to enter the plane. When you are back in your own country, please send pictures of your face from time to time to your clinic, so they can see if everything is going all right. Your doctor may suggest a massage after 3 weeks. So please perform this massage regularly. Turkey is one of the best destination for plastic surgery because of its experienced plastic surgeon and affordable prices. There are direct flights to Istanbul from 117 different countries and from over 225 destinations. That is why many people from Europe, USA, Canada and Australia are choosing Istanbul for their plastic surgeries. MCAN Health is one of the well-known plastic surgery clinics of Istanbul, Turkey, with highly specialized plastic surgeons, specialized in international patients. This is very informative actually. Do you think that it is a good idea to have a nosejob whie having a septoplasty?